LXDX To Extend Crypto Exchange Services For Every Investor - Coinfomania Coinfomania: Where blockchain and cryptos live. 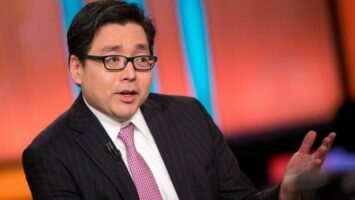 A former Engineer at Space X, Joshua Greenwald, and current CEO at LXDX has announced his company will be launching a public cryptocurrency exchange platform, according to reports on Monday. 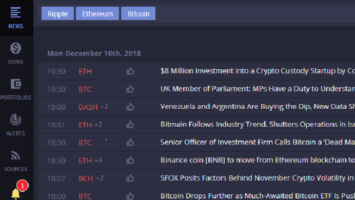 LXDX, a crypto trading firm for only institutional investors is expanding its services of providing high financial tools to crypto investors. “Our immediate focus is on cryptocurrency and enabling every investor to utilize the exclusive tools, like smart order routing, that only institutions previously could access,” Greenwald said. According to the report, the prevailing situation of inadequate security protocols and market fragmentation chase investors away from most crypto exchanges and to over-the-counter venues – which the firm regard as a constraint to the continual growth of crypto adoption. LXDX has revealed that to solve this issue, the firm plans on providing high-frequency trading capabilities and institutional requirements which would see the firm add multiple layer security, and engage in full KYC policies as required by the government of its host country. Among LXDX platform’s key capabilities are the volumes and high speeds of each transaction, two issues that currently hold back broad adoption of cryptocurrencies. According to reports, LXDX received backing from many investors including Dymon Asia Venture Capital Fund LP, to make its platform more widely available in August, before confirming a move into Malta last week. Since the start of 2018, Malta has welcomed a high number of blockchain and crypto related companies. Some of these include crypto exchange Binance, cryptocurrency Monaco Card, and crypto investment trading market Coinvest. This move has the single purpose of making Malta one of the first countries in the world to embrace blockchain and jump on the bandwagon of the new economy.